It is a tragedy that we know more about Robin Williams' death than Michael Brown's death. It is a tragedy that we know more about Robin Williams’ death than Michael Brown’s death. Robin Williams died on August 11, 2014. He was a beloved actor and comedian. The news was even more tragic because he apparently committed suicide and had a history of mental illness. Depression is a terrible terrible disease. What people show on the outside is not always how they present themselves, and depression kills. 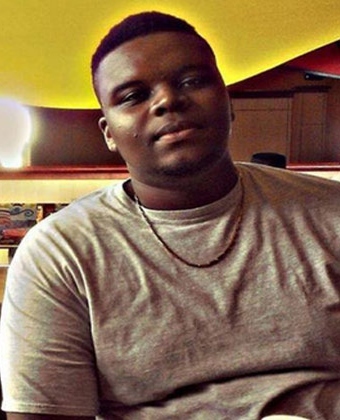 Michael Brown died on August 9, 2014. He was an 18 year old black man in Ferguson Missouri who was shot by a police officer. He was unarmed. And according to several witnesses to the event he was holding his hands above his head in a gesture of surrender when he was killed. We have heard intimate details of Robin Williams’ death. We now know all about his marriage, his illness, his medical information, his assistant, and many other things. Things that in my opinion should be private. The Williams family is mourning the loss of a loved one. Shouldn’t we grant them the right to mourn their loved one in private? Shouldn’t we give Robin Williams some dignity. All over Facebook I see tributes to Robin Williams. Even Blizzard and World of Warcraft has gotten into the mix. Apparently Robin was a player and there was a petition signed by over 11,000 gamers to have an NPC (Non Player Character) put into the game to remember him. Now just to be clear I am an avid World of Warcraft player. However, I did not sign the petition. Something about it just didn’t seem right to me. In fact, I was unaware of the shooting of Michael Brown in Ferguson Missouri until I read about it on Facebook on a post by The Bloggess talking about another unarmed black man shot by police. So many of the comments were awful! Racism is alive and well in this country, I am sad to say. However, in sharp contrast to the abundant information about Robin Williams’ death, we have almost NO information about Michael Brown’s death. We don’t even know the name of the Police Officer involved because the Chief of Police feels it will endanger him and his family to say his name. We have been told this young man “reached for the officers’ gun. Which is contrary to what the other man with him has stated. An eye witness to the shooting who arrived on the scene after it began said she saw the Officer shoot Michael in the back, and then shoot him again at least two more times after he had his hands in the air. I am a mother. I have two sons. I am white. I have a stark awareness of the fact that I don’t have to teach my sons about how to “not talk back to police”, and I don’t have to worry every time they go out with friends if they will survive the night. I do worry when my oldest goes out, but only because he is now at an age where he is driving and he is in the car with teen drivers. That worries me. But it is NOT the same as worrying about whether your son will be killed simply because he is black or brown. I am acutely aware of the fact that my sons can walk around our neighborhood at night with a group of friends and NOT worry about being hassled. According to an article I read, a black man is killed by a police officer every 28 hours in America. That is a startling number. You can find the article and read it yourself. Why is it that a celebrities death is more important than an unarmed young man? Why do we know more about Robin Williams’ death than Michael Brown’s death? Even in my local area of Virginia if you go to the Local TV station Wavy 10. The top story in National news is Robin Williams wife saying he had Parkinson’s disease. Below that is a story about President Obama talking about the Ferguson situation, and then some photos of the protests in Ferguson. Can’t you do better than that Wavy?? WVEC channel 13 online is not doing any better. By all accounts Michael Brown was a gentle young man who was leaving for college in a few days, He was walking with his friend to visit his grandmother. Tonight my son The Genius and I will be attending a National Moment of Silence at Old Dominion University to honor those killed by police and to honor those victims of police brutality. #NMOS14 Look for a vigil in a city near you! We need to make changes here in America. The killing of unarmed black men needs to stop. Police brutality needs to stop. The Police should not so militarized. This is the Unites States of America. What has our country come to? Please consider attending a NMOS14 even in a city near you.Let’s stand together against police brutality and racism! Will you join me? So agree. There are so many missing pieces of this story. Supposedly, he was walking in the street and a cop car came and told them to move to the sidewalk. They didn’t and continued to walk in the street. Next thing he basically is dead on the street. So needless. The town is 67% black with a population on 22,000 ( a relatively small town) and only 3 black officers. I was listening to NPR today and they had a black, woman cop on the line and she was saying there is so much backlash when you are a black officer. The community sees you as a traitor and against their own. It is such a sad state of affairs that another innocent kid is killed for walking in the street. My old boyfriend of 14 years is black and is son is biracial. He has had to have the “talk” because he lives in a mostly white area and must be on guard if he is doing anything that can be misconstrued. It has happened to him on a few occasions. My ex has been stopped for DWB (driving while black), walking in his own neighborhood and going into his laundry place. Very sad that this is happening way more than it should. This is truly a sad thing! I have never had to have the “talk” with my sons, but I have had a different kind of “talk”. The talk was: “you are privileged, merely because of the color of your skin, and your gender. Be aware of that and work as hard as you can to NOT be privileged. Work to end racism. Work to make the work an equitable place fr all of us. Be responsible to your fellow human beings.” I think if more whit parents had that talk with their kids, particularly their sons, the world would be moving towards a better place. There is no question, you are correct on all counts here. I too, agree that racism is alive and well in our country today. The deaths that you mention are indeed tragic. You say the police brutality has to end, Yes it does, but as long as we have trigger happy cops driving around looking to throw their weight around, you are barking up a tall tree. I am white, my son who is a senior in College is also white. He attends an almost all white University. He has filmed incidents of needles police brutality against white unarmed young women and men. Good Luck, but skin color does not stop a cop who feels like he needs to blow off a little steam. it is unfortunate that your son has witnessed undue harshness by police officers towards his white counterparts. However, I am quite sure that if your son attended a University that was more racially diverse, (such as Old Dominion University where I attend) he would see much more unfair treatment towards his black classmates than towards any of his white ones. Black people are unfairly targeted by Police. It is up to you and I to stand with our fellow human beings to do what we can to end racism and police brutality! Both of their families are suffering, one from too much interest and the other from too little. The only thing that will make things change is for good people to keep on insisting that they MUST change. Thank you for writing this post; the points are important. Thank you so much for your comments! As women of Jewish faith, you and I have been taught about being kind to our fellow human beings our entire life. Our religion teaches us that persecution of any kind is not good, and that we must do what we can to end it for others. I for one will do what I can, because as you said m this MUST stop!